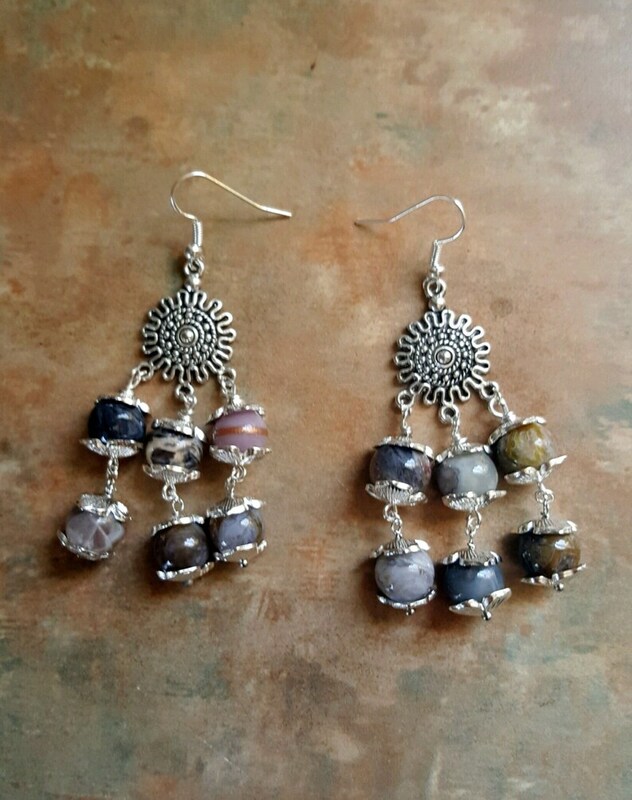 These unique earrings were made using pretty sun style earring connectors with dangles consisting of beautiful, round 8mm Silver Needle Jasper stones. 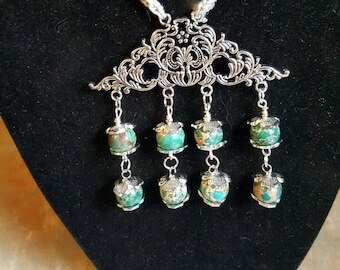 Each stone has a silver flower petal end cap on each end. They measure approx. 3 inches in length.